Metro Heating and Cooling, the company that started Metro Plumbing, began June 2009 by gathering over 400 years of combined experience. We are excited to now bring our customers full plumbing services! Call Metro Plumbing for HONEST, AFFORDABLE service! 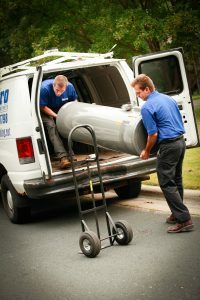 Our team of 40 employees are dedicated, and fully trained and certified in the residential and commercial plumbing, heating and air conditioning industries. We aren’t paid based on commissions, so we provide the right products and the best service to meet your heating or air conditioning needs. Our honesty and integrity is directly related to our impressive Better Business Bureau rating (A+) and our Home Advisor Top Rated Screened and Approved rating. We are affiliated with the following organizations which help support our commitment to the excellent standards of service our customers have come to expect from Metro Plumbing. I called to schedule my appointment and the office was very friendly and helpful. My technician called on his way and gave me an arrival time and was on time. He diagnosed the repairs to be made and gave me an upfront estimate. I don’t know nothing about plumbing, but the price seemed to be reasonable. Stacey was very friendly and knowledgeable. He was very expedient and cleaned up after he was done. This was one of the most refreshing experiences I’ve ever had with a service company. I will definitely use them in the future and would recommmend giving them a chance to earn your business. You will not be disappointed. Friendly service fast and great pricing to boot. I definitely called the right place!! Great customer service, honest people, and reasonable pricing.. I definitely recommend Metro! Used Metro Plumbing to get a new laundry sink. They come on time with great tools and a quality job. Prices were great and they cleaned up. I called metro plumbing based on my experience with their parent company, metro heating & cooling. Their plumber, Stacey, gave us top-notch service. He completed our installation promptly and at the quoted price. I called Metro Plumbing to get a new laundry sink. They come on time with great tools and a quality job. Prices were great and they cleaned up.